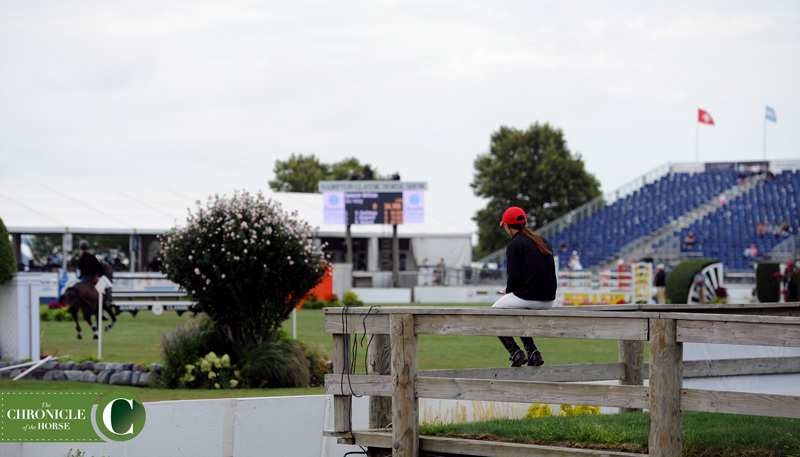 Sure the Hampton Classic is a horse show with classes and divisions much like any other horse show. But is it really like any other horse shows? Quite simply, no. 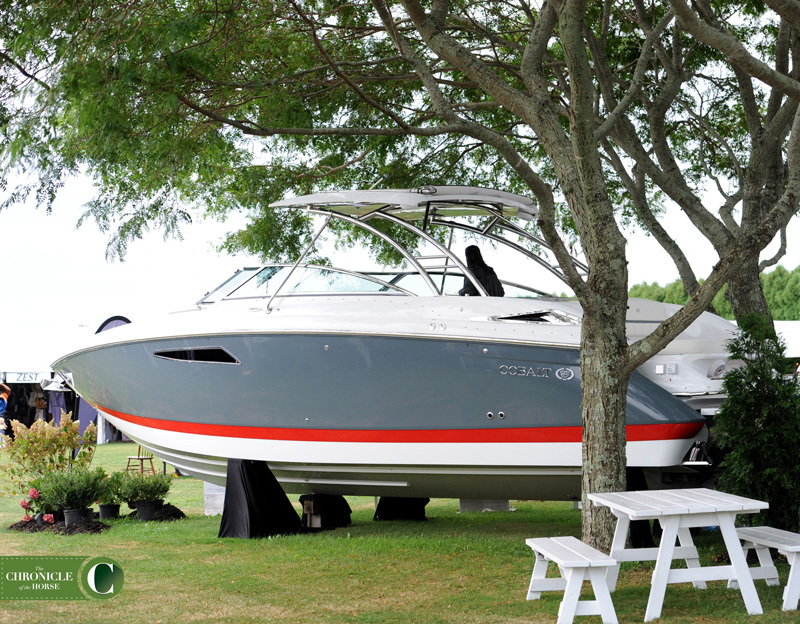 Step inside the world of the Hamptons sans the horses and ponies, and be sure to leave your wallet open and your budget unlimited. 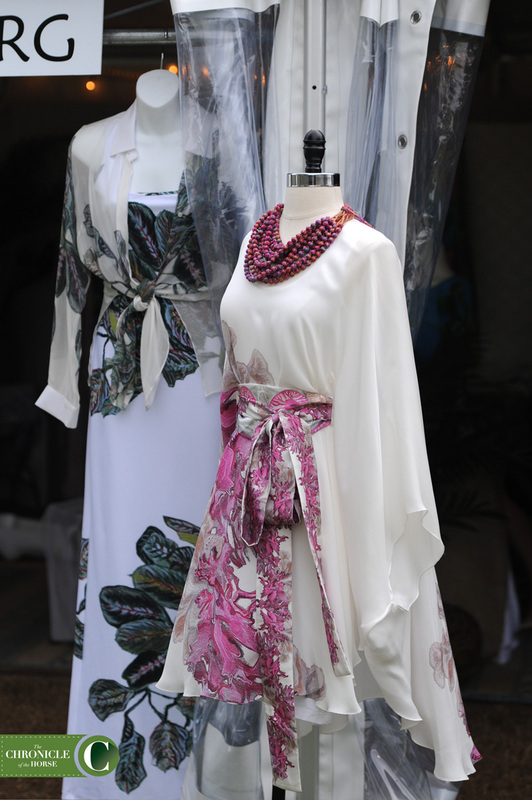 First stop, the Boutique Garden. Welcome. Beware as you enter, you will come out with bags twice your weight. Photo by Laura Lemon. 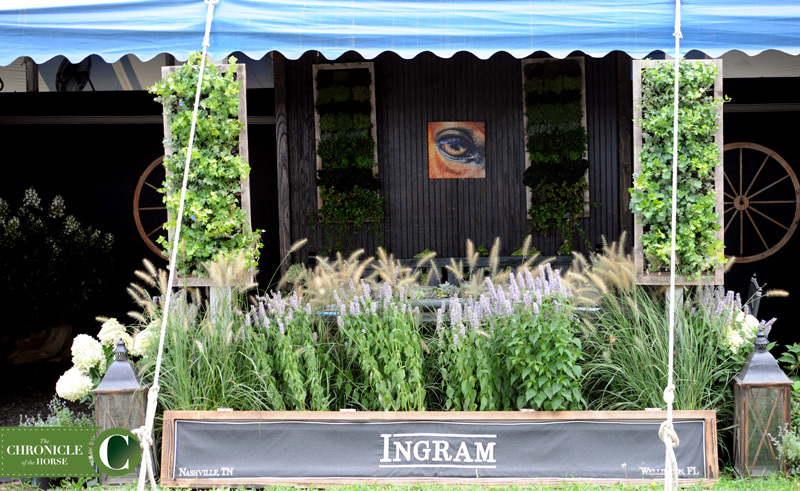 The Boutique Garden is a peaceful oasis beckoning you to enter each and every store. Photo by Laura Lemon. First stop, Marders. 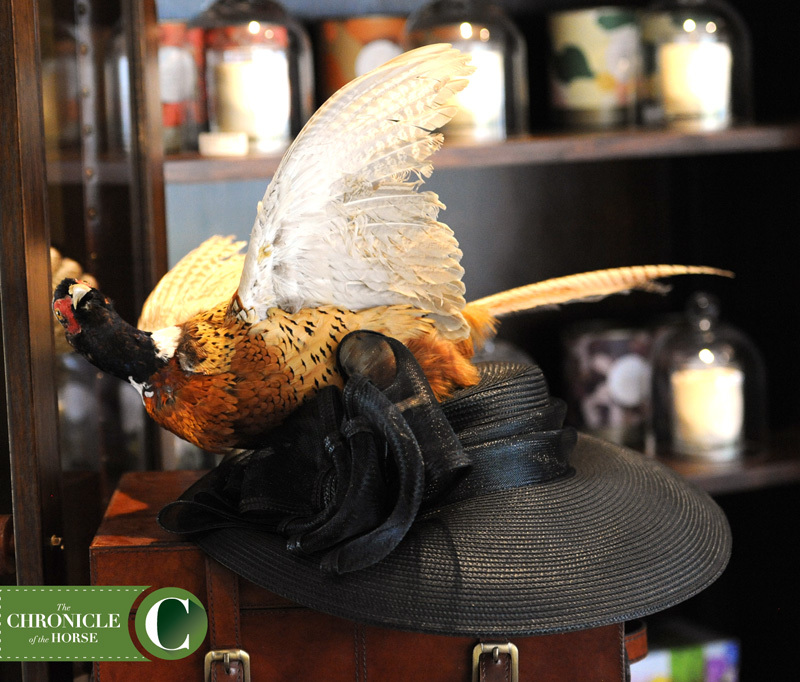 They offer unique hats perfect for the Kentucky Derby or polo Sundays. Photo by Laura Lemon. 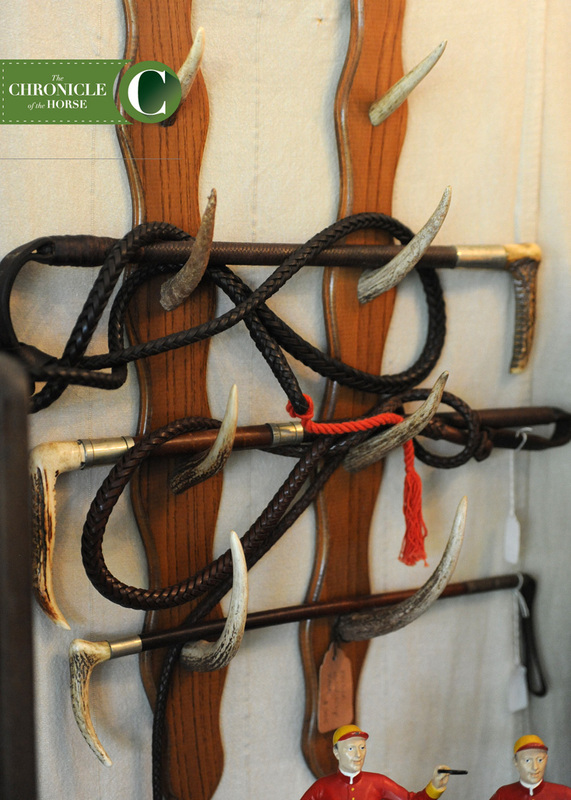 The key to a good shop in Boutique Garden is something on the outside pulling you in. Kaval tops this with their horse sculpture. Photo by Laura Lemon. 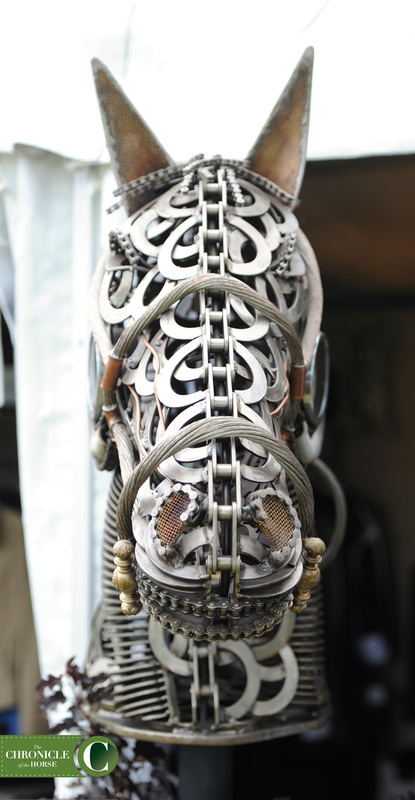 Wellington & Company Antiques offer beautiful gems perfect for bringing your horse obsession to your home. Photo by Laura Lemon. Why not have a show coat with a bit more glam. 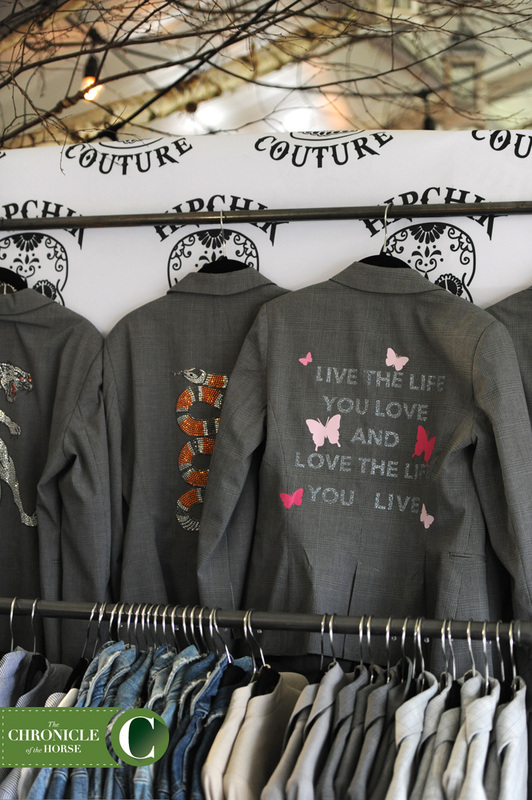 Stop by Hipchik Couture. Photo by Laura Lemon. 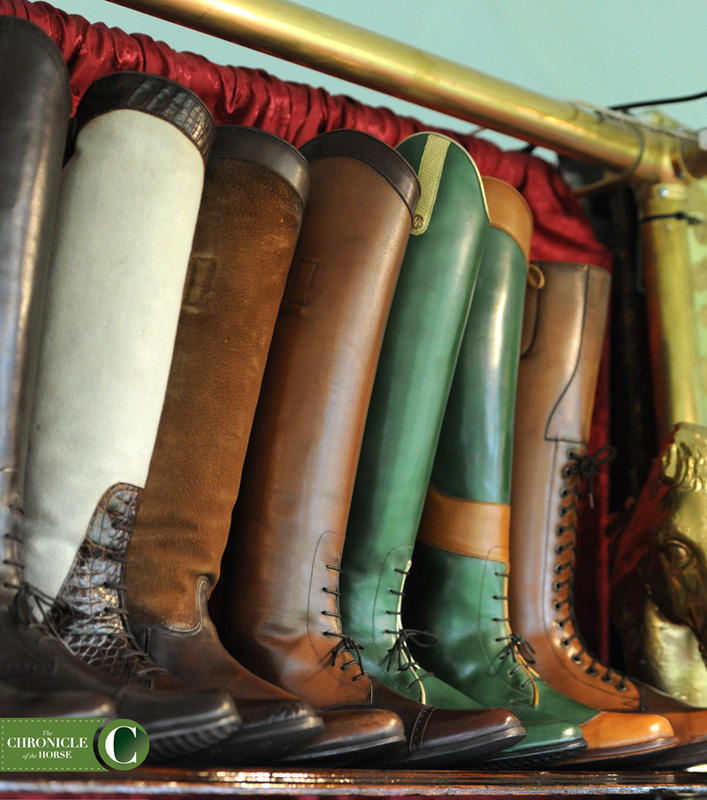 Now time to drool over Der Dau boots. Photo by Laura Lemon. 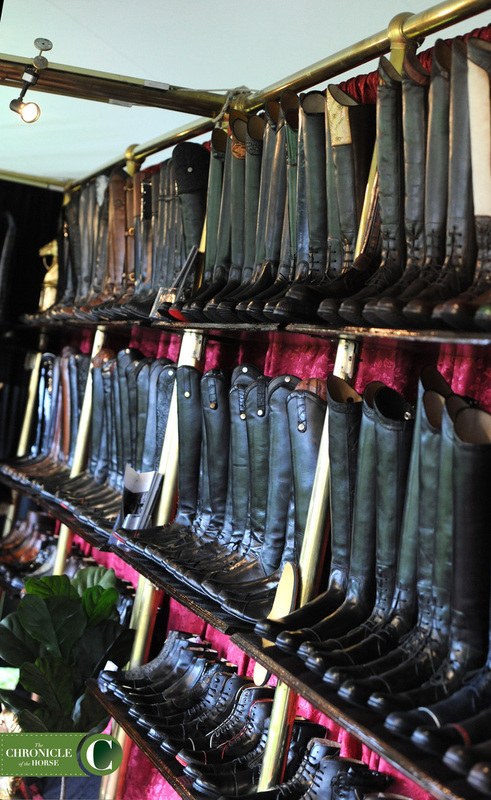 Seriously have you ever seen so many beautiful boots? Photo by Laura Lemon. Yeah we know what they say, money can’t buy everything. Maybe so, but it can buy me a boat. Photo by Laura Lemon. 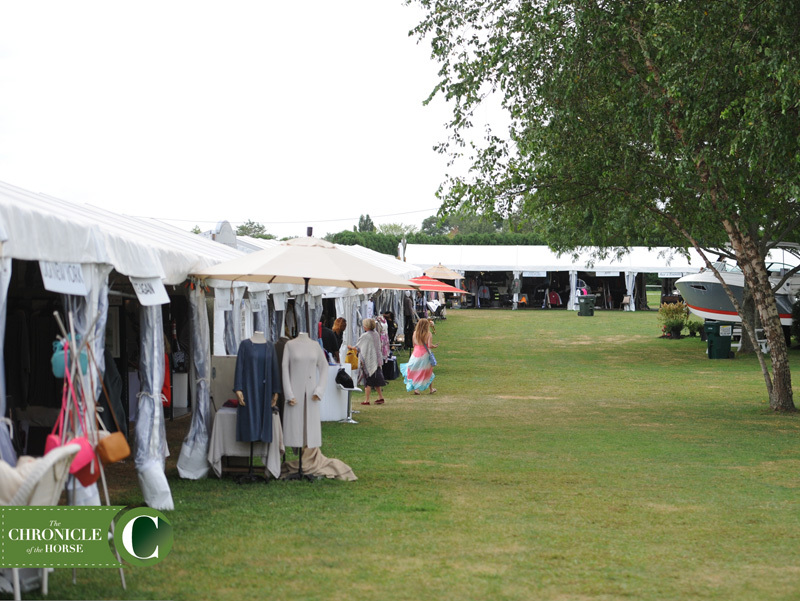 A little bit of Middleburg in the Hamptons. 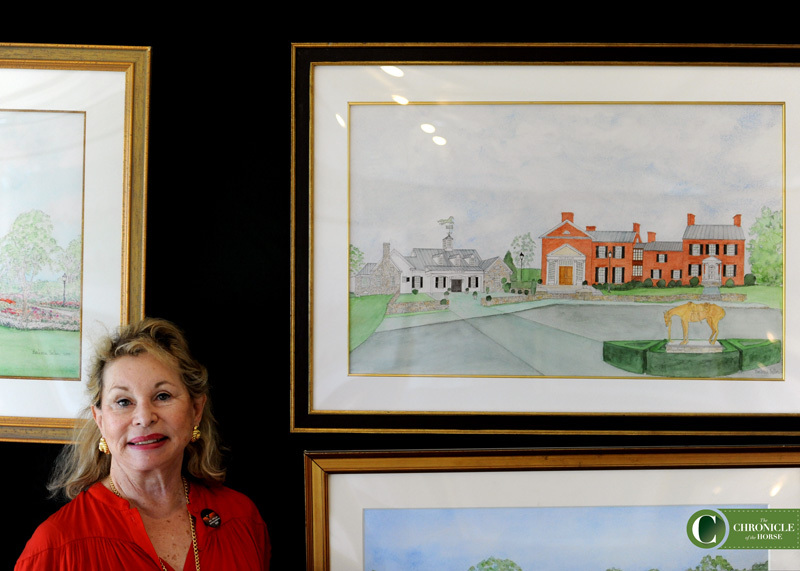 Artist Barbara Bellin creates house portraits so you can always take home with you. Photo by Laura Lemon. 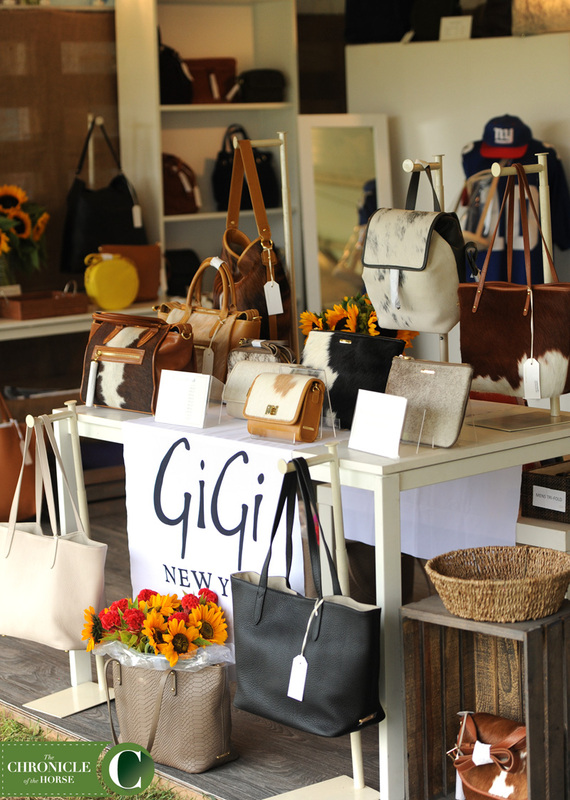 Bags and bags and bags at GiGi New York. Photo by Laura Lemon. Joey Wölffer can fulfill all your fashion needs. Photo by Laura Lemon. Stay stunning with Ala Von Auersperg. Photo by Laura Lemon. 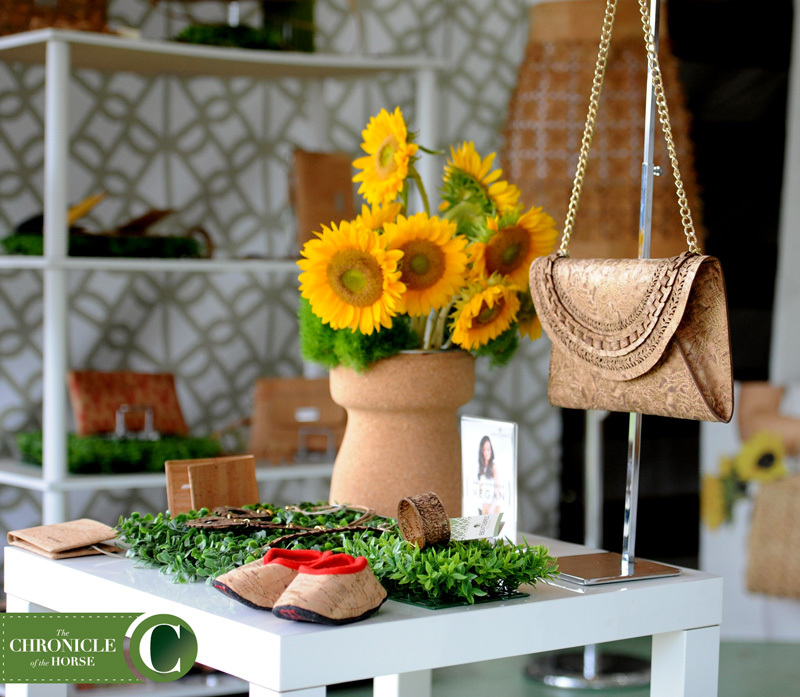 Who knew vegan cork could be so stylish and beautiful? 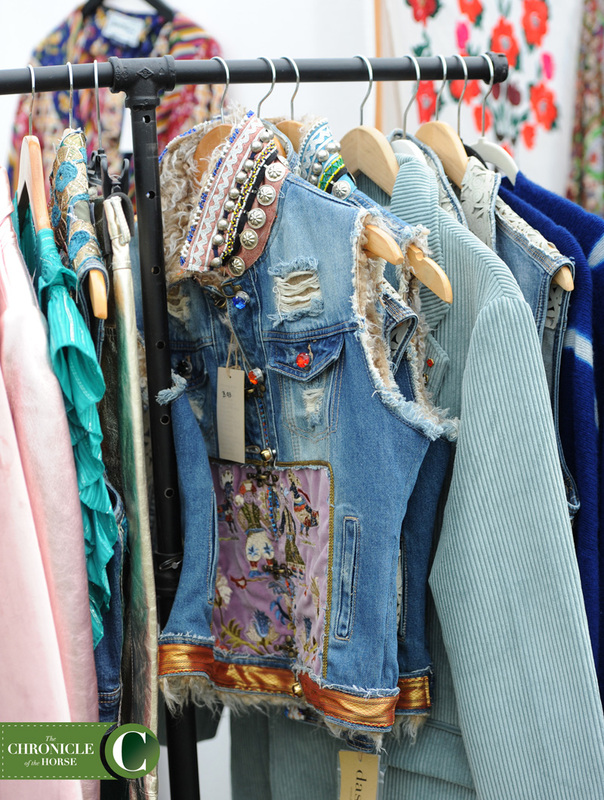 Stop by Bent & Bree for these one-of-a-kind accessories. Photo by Laura Lemon. 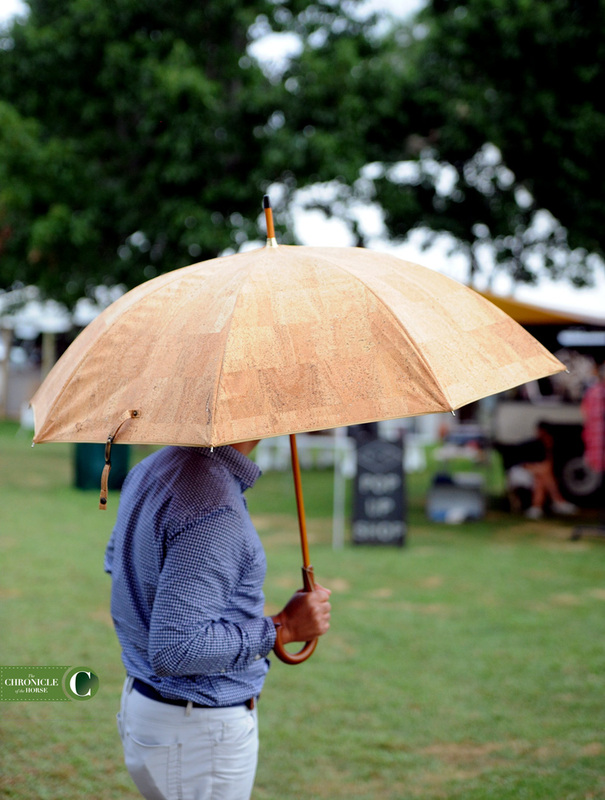 You can even have a vegan cork umbrella at Bent & Bree. Photo by Laura Lemon. 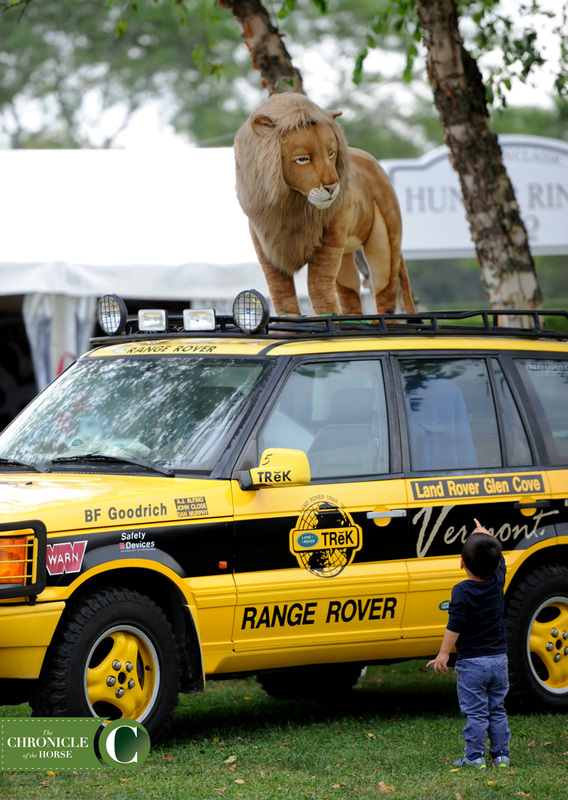 Look, a lion! Photo by Laura Lemon. 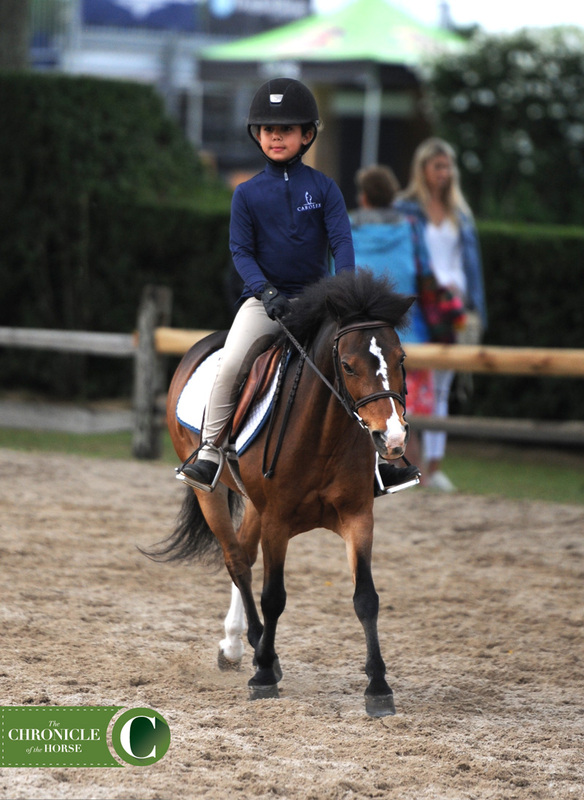 Now since we’ve spent all the money in our wallet, let’s take a pause and observe some cute ponies. Oh, right, there is some actual showing. 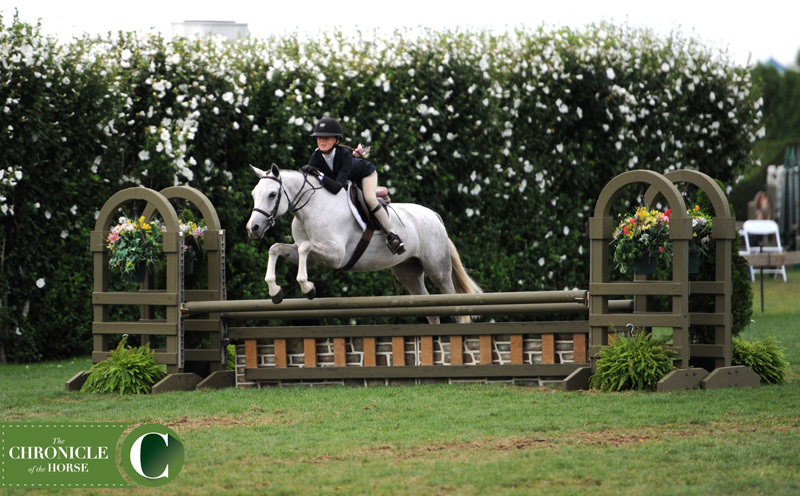 Caroline Olsen guided Sugarbrook Adorabelle around the medium pony hunters. Photo by Laura Lemon. And look at this fluffy little smush prancing around. Photo by Laura Lemon. Let’s head to the barns. At this show, barns are loud and proud, battling it out for the best and classiest decoration. So make yourself comfortable on a couch and surround yourself with a picket fence because we are moving in. 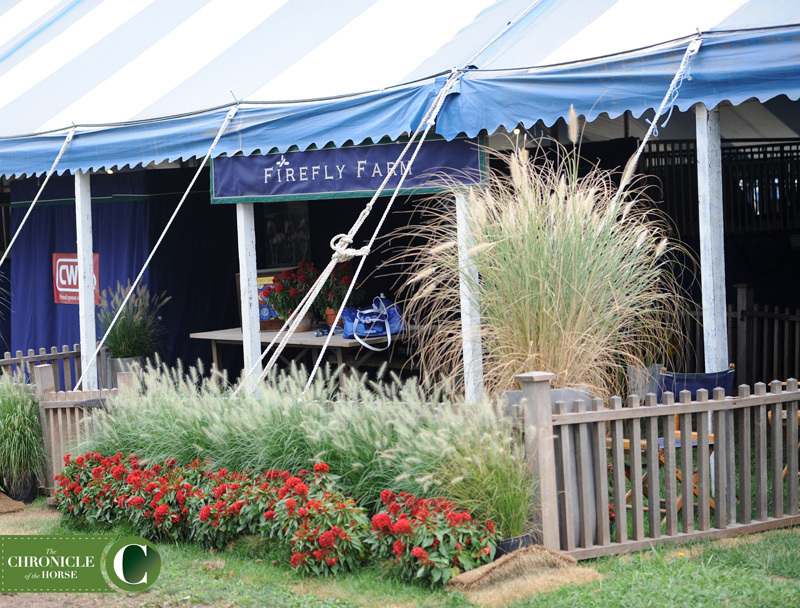 Firefly Farm went all out with their decorations, picket fence included. Photo by Laura Lemon. 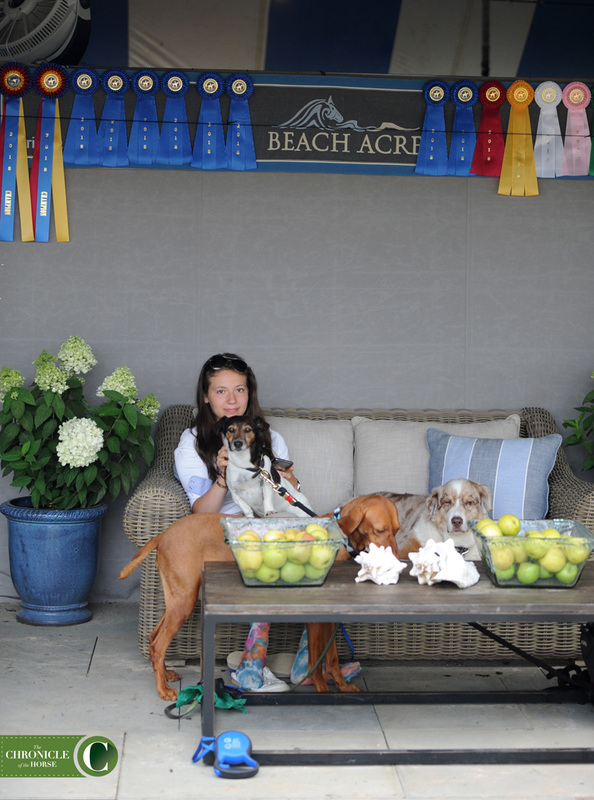 Olivia Neu took a break from riding to hang out on the couch at Beach Acres. Photo by Laura Lemon. 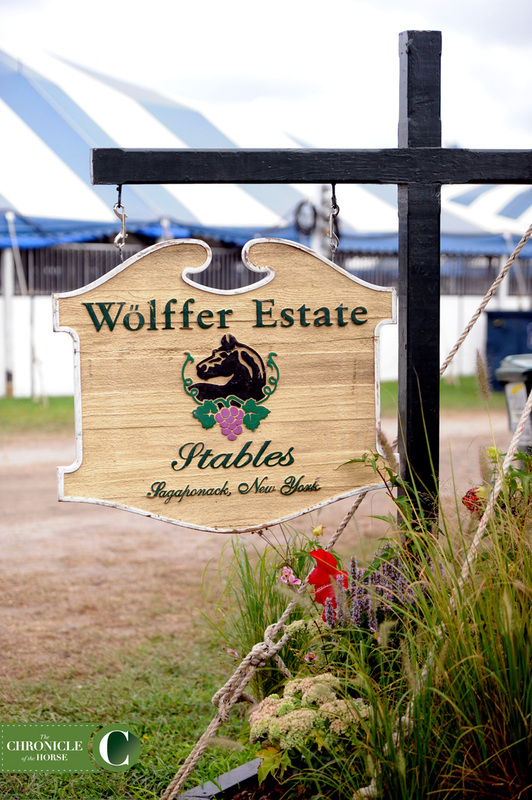 Key to any barn decoration is to have a clear, beautiful and distinct sign welcoming everyone in like Wölffer Estate Stables. Photo by Laura Lemon. The Ingram family took decorations to whole new level. Photo by Laura Lemon. Check back with us later today! We’ll be here the rest of the weekend.